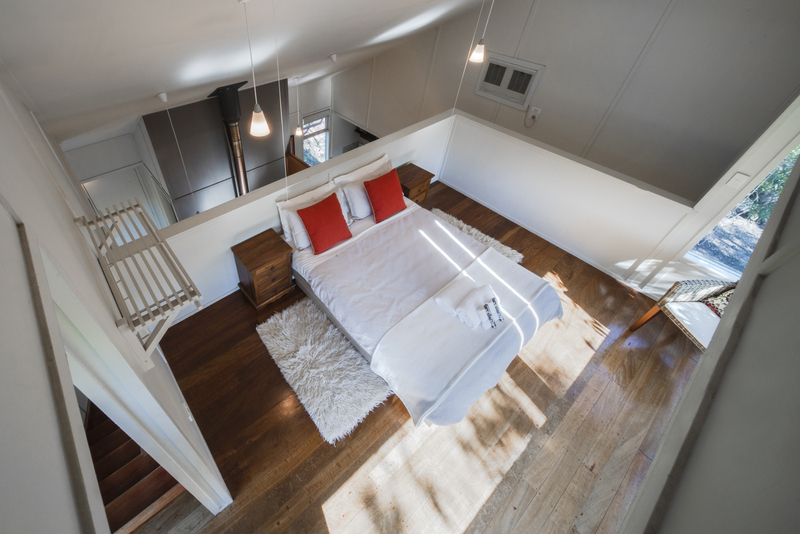 The Treehouses at Aquila Eco Lodges have been designed as a retreat for couples but if necessary can sleep one more person in the loungeroom. It is a three level building and thus may not be suitable for young children. 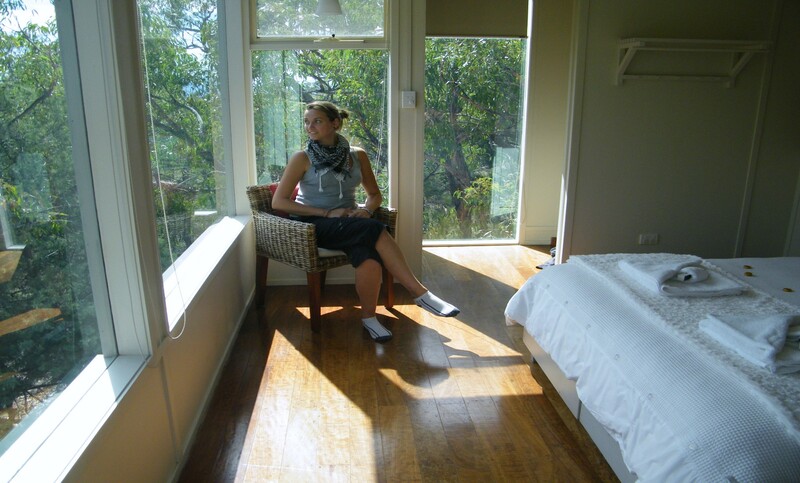 The bedroom is located on the top floor with picturesque views of the surrounding tree tops. 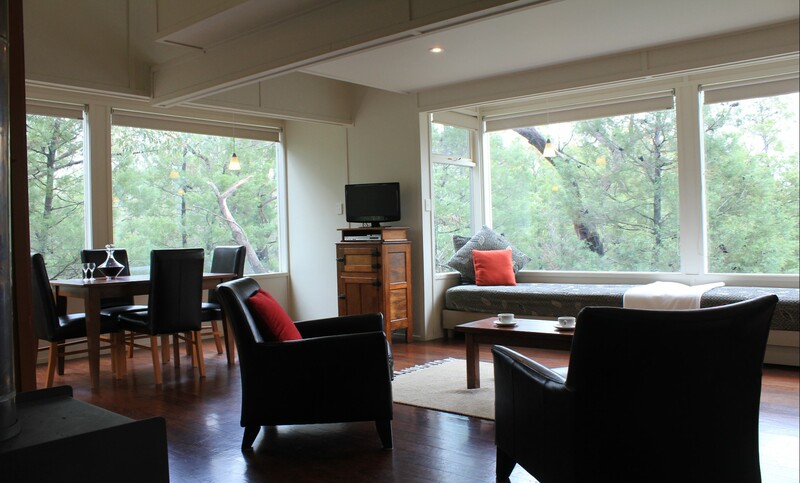 On the second floor are the bathroom, full kitchen, dining and a living area with armchairs and two day beds. 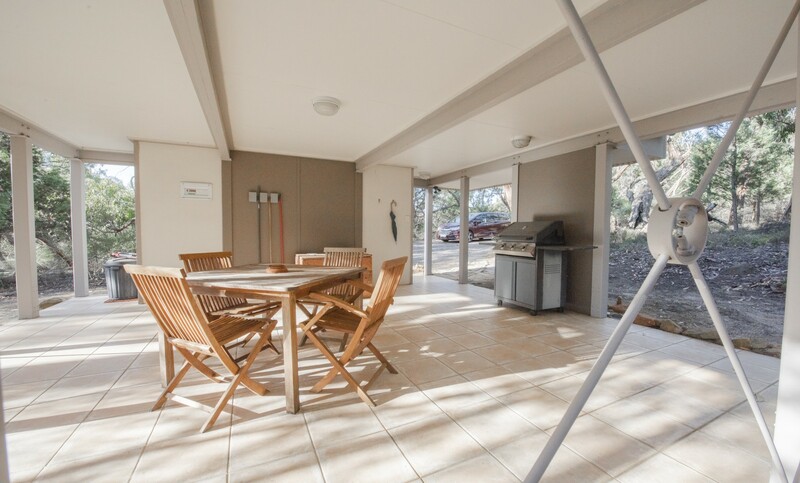 Ground floor is occupied by an undercover verandah with a gas BBQ and outdoor furniture. 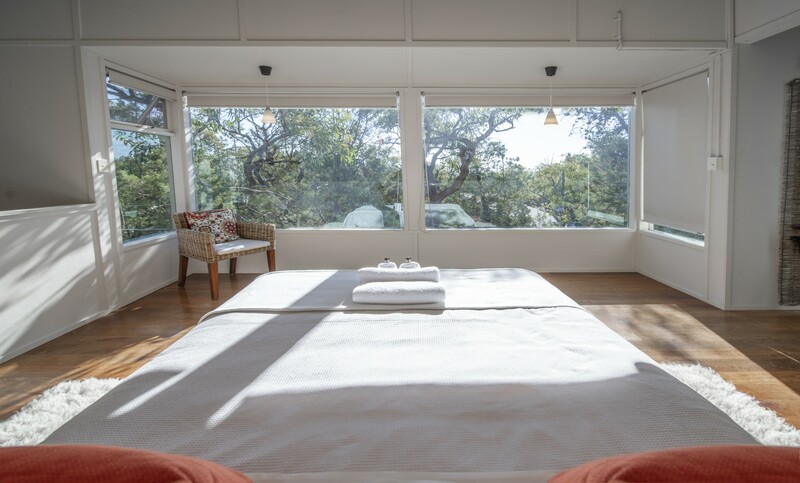 ‘Day-beds’ with oversized cushions, that are set along huge picture windows. Fully equipped kitchen minus microwave (solar power restrictions). 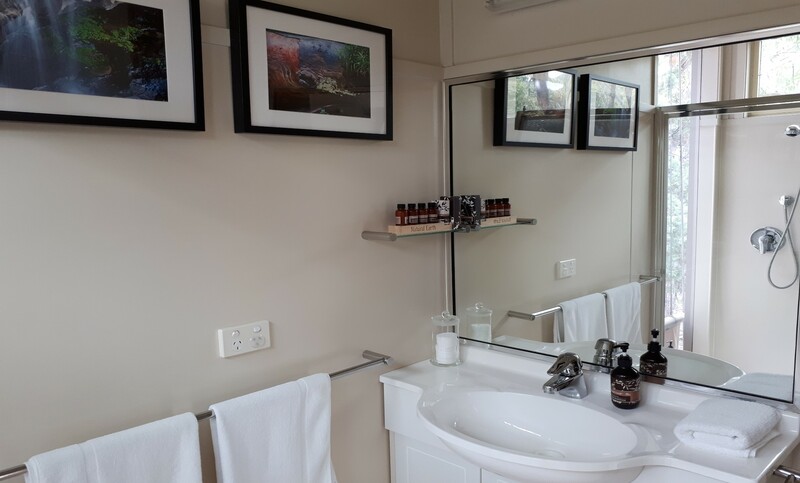 Bathroom has a view on bushland and is supplied with natural body care products and towels. Queen size bed has comfortable mattress and is made for you with wool underlay, wool doona and good quality linen. All beds are regularly inspected, cleaned and disinfected by “Health Protect International”. 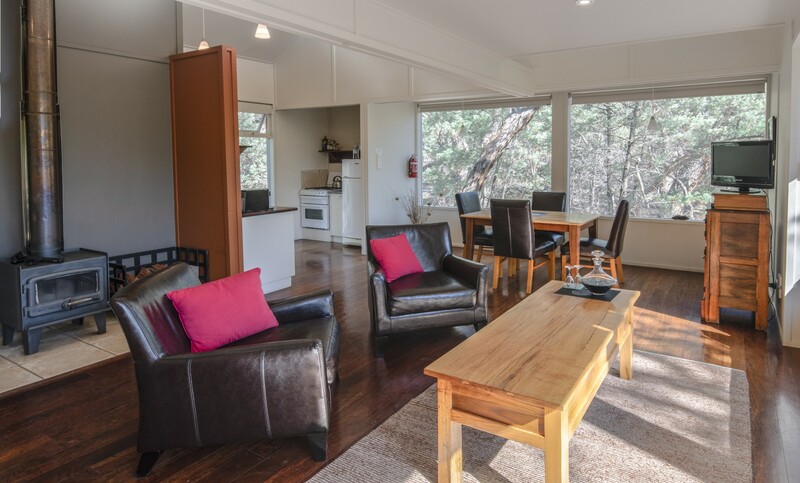 Kitchen is stocked with fresh milk, several types of tea, coffee pods and instant coffee, cold press olive oil, balsamic vinegar and soy sauce.